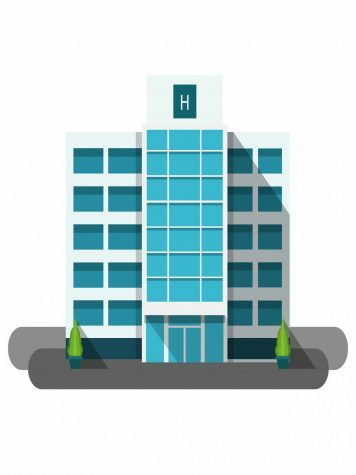 The app Flow Free: Hexes originates from an app I used to play when I was younger called Flow Free. A lot of kids played this game in middle school, though as time went on the app was somewhat forgotten about. 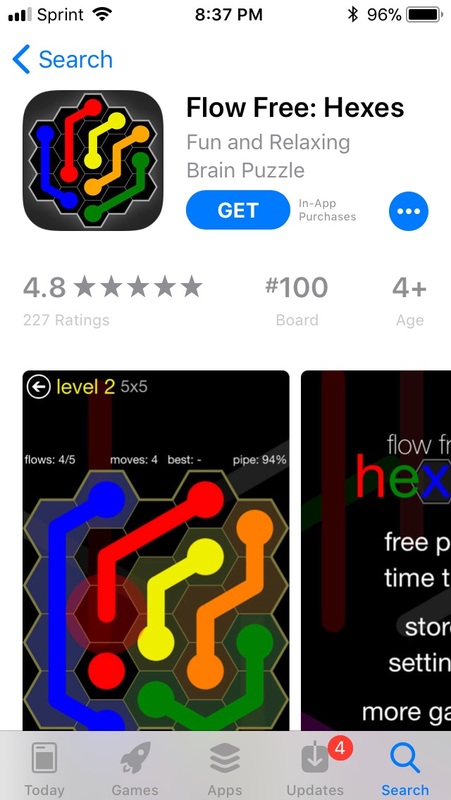 When deciding which new app to download, I thought of this game and decided to download the Hexes version. When first opening the app, it gives you five different options: you can play free play, time trail, store, settings, and more games. When engaging in the free play option, there are fourteen different levels. 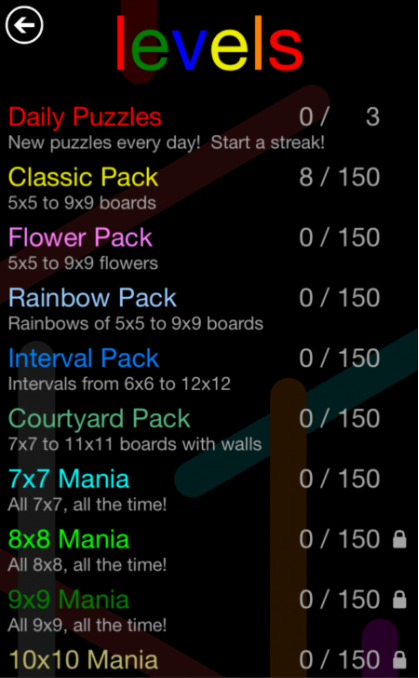 At the beginning some levels will be locked, though as you go on the levels will become unlocked. The classic pack is the first level and is the level I played. In this level there were six boards. 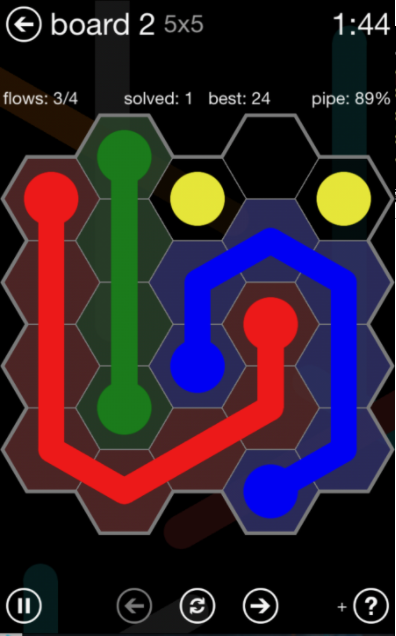 The classic pack starts off with a 5×5 board and goes to a 10×10 board, in which there are two of each red, yellow, blue, and green dots placed on the board (5×5) and more dots are added as the size of the board increases. 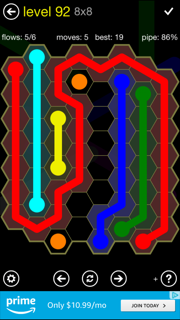 The objective of the game is to connect the two dots of each color without crossing the path of another colors dots. Within the six boards, each board has thirty mini levels and as you progress to a bigger board the objective of the game gets harder. 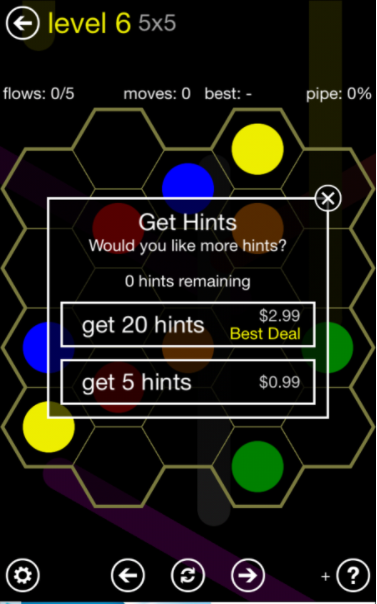 You are allowed three hints when playing this game, and if you run out of hints you can buy more. For five hints it’s $0.99 and for twenty hints it’s $2.99. If you are interested in buying items in this game, you can also buy more boards. These boards are premium, and there are eight of them. You can buy them individually for $0.99 or you can buy all the premium boards for $2.99. The time trial option I find enticing because it gives you either thirty seconds, one minute, two minutes, or four minutes to complete the objective. I feel it pushes you, and I think it can help you to get better at the game because it challenges your fast thinking and problem solving on the spot. This game is an overall fun game to play, and if you’re interested you can find in your phone’s app store. This game is available in the android app store, apple app store, and in the google play app store.